Stay bug free with a second line of defense. 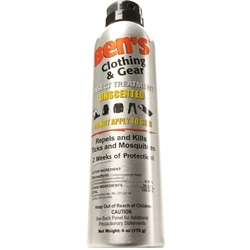 Adventure Medical Kits President Chris Gubera shows you how to use Ben's Clothing and Gear to keep insects and ticks at bay when you're in the wilderness. Specially formulated to bond to fabric, Ben's Clothing and Gear works alongside our other Ben's formulas to keep all your excursions bug-free.